Kate and Joel Booy hail from sunny Australia, but are now based in Rotterdam, where they work “surrounded by heaters in a big, cold, beautiful warehouse from the 1950s.” Since founding their firm Truly Truly in 2014, the couple has blurred the line between art and design, working with industry bigwigs like Hella Jongerius as well as producing textiles, lighting, furniture, and spatial installations for the likes of IKEA, Tacchini, the Nationaal Glasmuseum, and Rakumba. 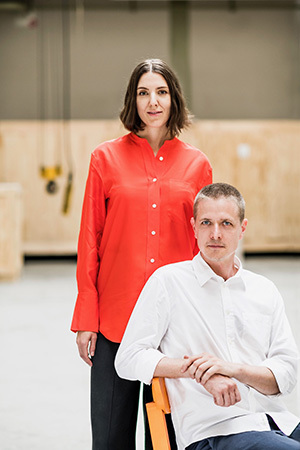 The duo recently nabbed one of the industry’s most prestigious prizes for up-and-coming designers: The Das Haus award. With the honor comes the opportunity to design an experimental residential installation for international contemporary furniture fair IMM Cologne, held January 14-20. Interior Design sat down with the Booys to hear more about their approach to living, what brought them to Europe, and the succulent currently overtaking their own home. Interior Design: You have 1,810 square feet to play with for the 2019 Das Haus installation. Tell us about your design. Joel Booy: The brief was to create a personal vision of a home. For us, that’s one slightly in the future but not too far away. Kate Booy: Instead of designing really specific spaces that are strictly a kitchen or strictly a living room, we created areas based on moods. We like the idea that people always gravitate to the kitchen, so ours is centrally located, with spaces that break off it: one for reclining, another with walls made entirely out of plants. ID: How do you envision the home of the future? JB: We anticipate more small-space living and spatial blending. In fact, we live in a tiny space: Our living room, dining room, bedroom, and kitchen all flow together. To create this flow, you place and use objects differently. And we have no walls in our Das Haus, with the idea that in the future you’ll be able to take your walls with you when you move. 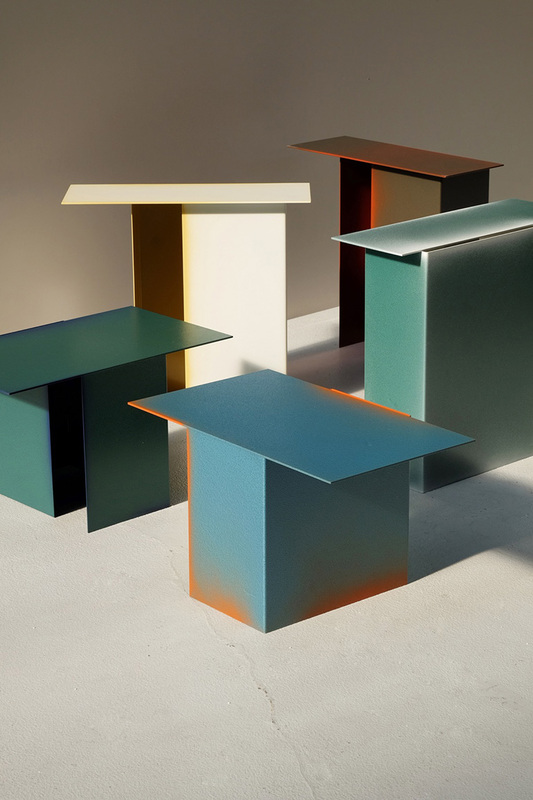 A grouping of Daze side tables by Truly Truly. Photography courtesy of Truly Truly. ID: What new Truly Truly products will Das Haus include? JB: We will be featuring 22 products, nine of them new, as well as seven prototypes. There will be a new floor lamp for the Typography collection we produced for Rakumba and our Levity pendant fixture, now made in a single line instead of a loop. It’s quite common for us to make a thing out of a simple concept like gravity—which is what we did with Levity. For a sofa prototype, we chose a Kvadrat fabric and made wood frames that we pressed into giant cushions, a method that creates comfort where you need it. Then we’re showing a bed we designed with a company based in our hometown. The funny thing is we had never heard of the brand, as it was only four years old. And right as you come in the door you’ll see some really interesting and quite abstract glass-mirror screen shelf objects: each is a mirror, but also a screen and also a shelf—but none of these things specifically. ID: Could you describe some recent products? KB: Prototypes we showed in Milan last year include Pitch, with lighting elements that lean against each other and act like a pendulum via the forces of gravity. The Brace rug contrasts areas of low, looped pile with longer-pile sections or velvet and fringe. Fond is our first dining chair, and we really focused on getting the angles, proportions, and comfort right. The frame is a mix of laser-cut aluminum and CNC-routed wood, materials we had on hand. The wood provides comfort, softness, and warmth, while the aluminum provides lightness and sturdiness. 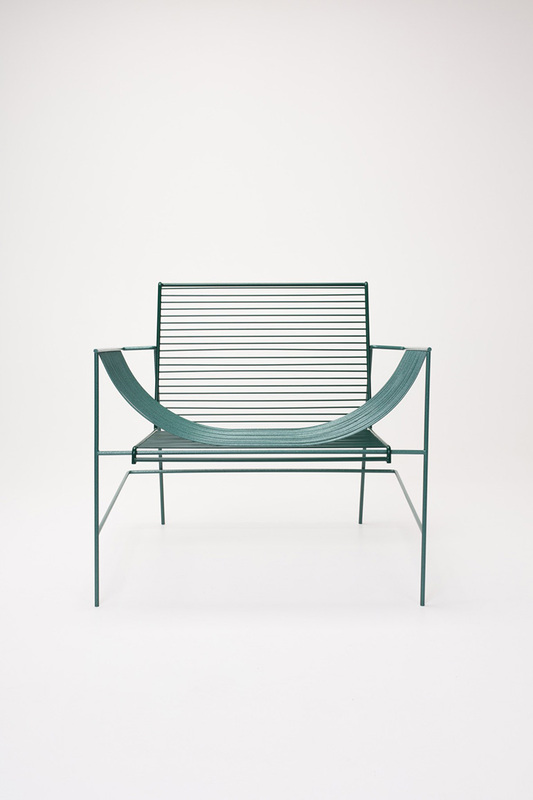 The Wove chair by Truly Truly. Photography courtesy of Truly Truly. ID: So, what brought a pair of Aussies to Europe? JB: We were both working as graphic designers for an Australian firm and I got the chance to do a museum window installation, which I loved. I decided that was way better than what I’d been doing. Kate and I had always wanted to live in Europe for a bit, so I attended the Design Academy Eindhoven for four years, with the idea that we’d become furniture designers. We gave ourselves a year to see what would happen—and before I even graduated, we were working with IKEA on the IKEA PS sofa. Then a friend offered space in his Rotterdam workshop, so we moved here. The city is amazing: an old shipping port with industrial areas that are being transformed. A lot of creatives have been moving in, which gives the city vibrancy. 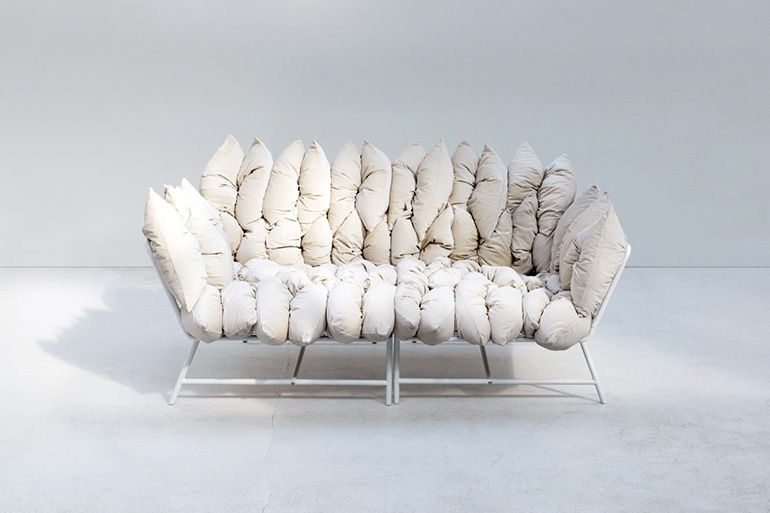 ID: Was the IKEA sofa your big break? KB: Not really. It was a year after Joel graduated in 2014 that we were working on the sofa, which came out in 2017. In the intervening time, we did many different things that meshed together to add up to something bigger. JB: We did a blanket with Hella Jongerius for the TextielMuseum, several products with companies in the Netherlands, and we started showing in Milan in 2016. We came to realize the process is more constant: doing shows and being part of the design industry is what’s really helped us get along. 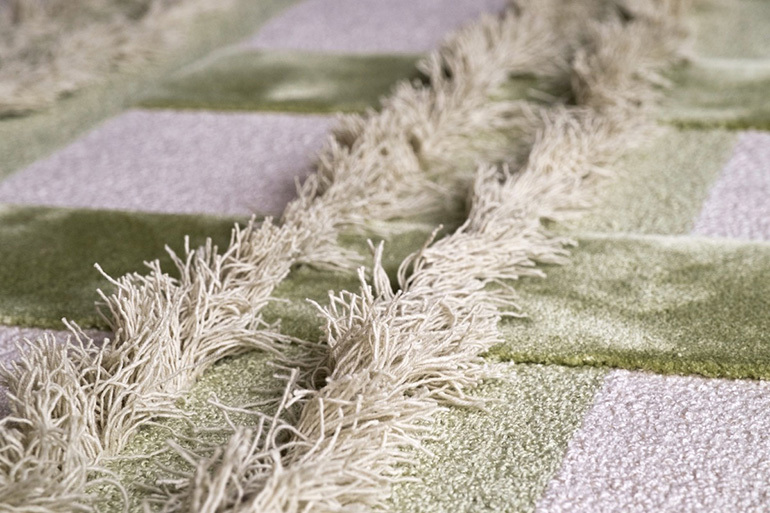 A close-up of Truly Truly’s Brace rug, alternating low, looped pile with velvet and fringe. Photography courtesy of Truly Truly. ID: How has your childhood influenced your design thinking? JB: My parents had a furniture shop that sold one-offs and pieces from Italy and Japan, so I was always around furniture and the smell of it being made. Even today, when I smell new wood, I am instantly thrown back. KB: Art was a big interest growing up that my parents picked up on and encouraged. They facilitated that I attend art classes and one of the best art-focused high schools. As I got older, it was a natural transition into design. ID: Is there a person in the industry you really admire? JB: Eileen Gray has really influenced us. Her work is so bold and out-there, but then fits in the environment in some way. It’s at once wild yet constrained and refined. 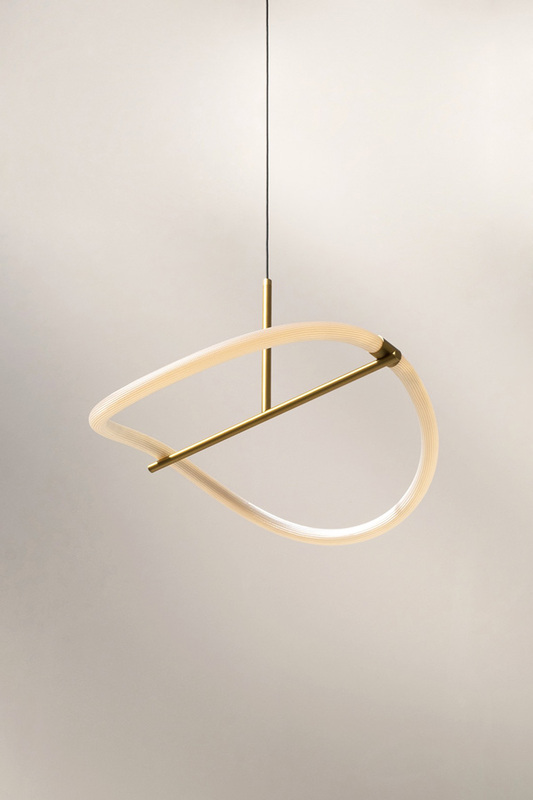 The Levity pendant fixture by Truly Truly. Photography courtesy of Truly Truly. ID: What in your home has particular significance to you? JB: We live with some first versions of things, like the Daze side tables and our Touched table lights—and also with a lot of plants. Our home is very foliage-y. We have a hanging Rhipsalis—a succulent—that we named after our friend Guillaume, who used to have dreadlocks. We keep raising the plant closer to the ceiling as he reaches further and further to the floor. I just can’t trim those dreadlocks! ID: What are you reading right now? JB: Baby books. Our baby comes the same week as Das Haus—the due date is the exact middle of the week. My plan is to go to IMM...but it’s a three-hour drive back to Rotterdam if anything changes!